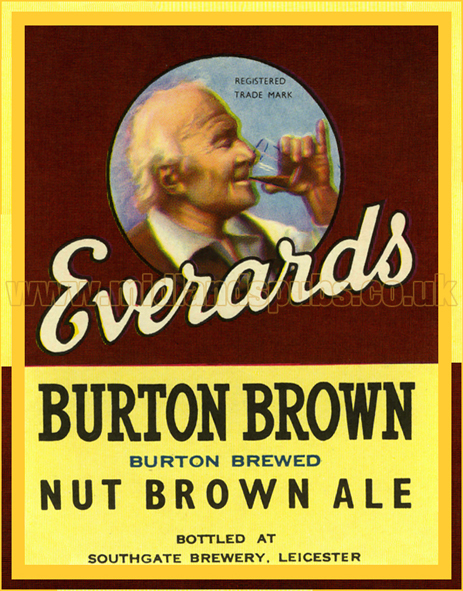 History and Information on Everard's Brewery Ltd. of Narborough in the county of Leicestershire. 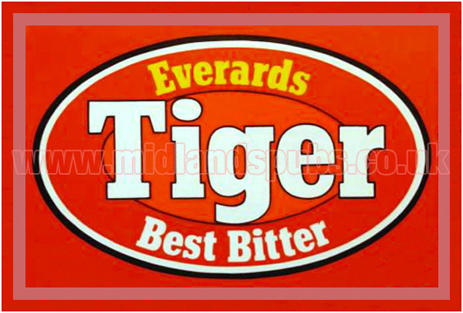 www.midlandspubs.co.uk | Breweries | Leicestershire | Everard's Brewery Ltd. This family-run brewery was founded in 1849 when Groby-born farmer William Everard, along with his brother Thomas, joined forces with maltster Thomas Hull. 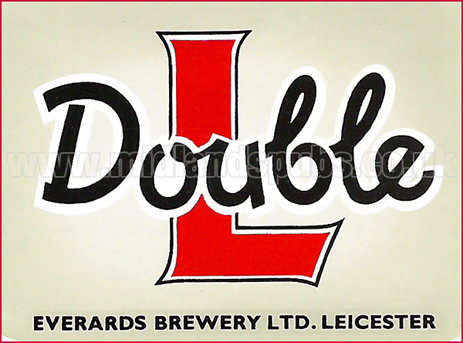 Together, they acquired the business of Messrs. Wilmot, a Leicester brewery, and at the same time leased premises in Southgate Street, Leicester. 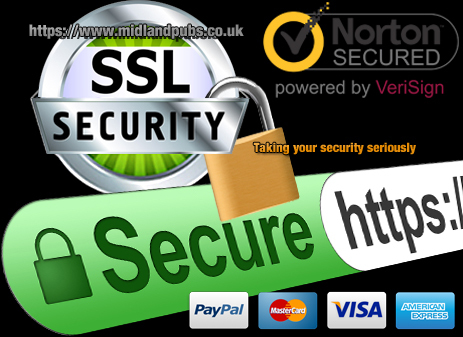 Their venture flourished and William Everard, who features in the company's logo and signage, proved to be the driving force within the business. Encouraged by his energy and enthusiasm, the brewery grew to serve not only many local pubs but also to purchase and run a number of its own houses, some of which like The New Inn at Enderby, The Railway Inn at Ratby and the Bull's Head at Cosby remain as part of the Everard's estate over 100 years later. The son of Thomas Everard and Mary Breedon, William Everard was born in Groby in July 1821. He grew up on the family farm and remained involved in farming despite his other business interests. Indeed, he became a member of the Chamber of Agriculture and Leicestershire Agricultural Society. William Everard married Mary Ann Bilson at Narborough in March 1847. The couple had three children, the youngest of which, Thomas William Everard, who would eventually succeed his father at the helm of the business. Thomas Everard seemingly followed a similar path as his father in that he was an active member of the Leicestershire Agricultural Society and also entered public service. Both William and Thomas were Justices of the Peace. Thomas, however, was made a deputy Lieutenant of the County before serving as High Sheriff. 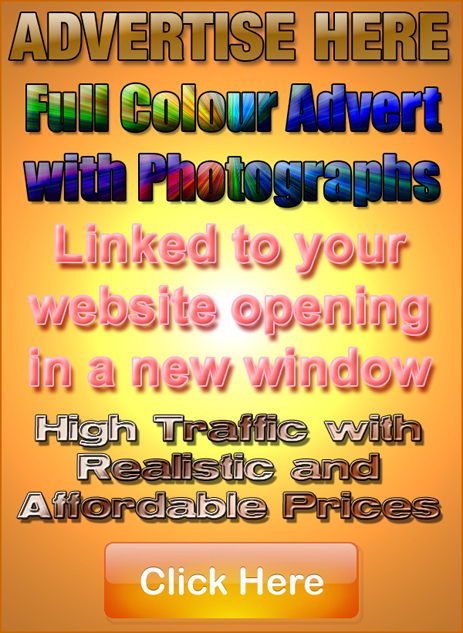 He married Florence Muriel Nickisson of London in September 1888. The couple had two children. 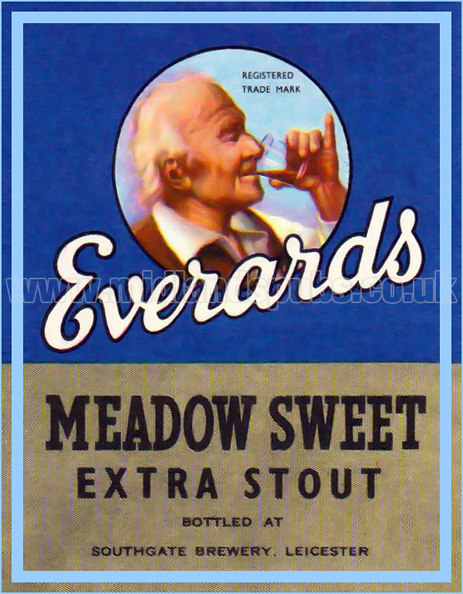 Born in 1891, William Lindsay Everard, would later run the brewery. William's brother Thomas died at a relatively early age in 1858. However, under the stewardship of William Everard, assisted by his son Thomas, the company grew steadily during the 19th century. 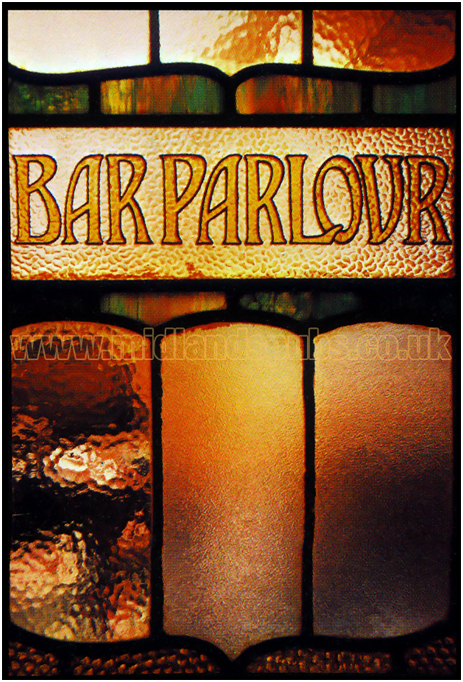 By the late 1880's the firm was supplying around 100 public houses. In terms of pub ownership, in June 1888 William Everard acquired the New Inn at Enderby - this was the first pub in the company's portfolio of public houses. Two years later the Everard's entered into a partnership with Charles Welldon, a local wine and spirits merchant. The business traded as Everard, Son and Welldon. 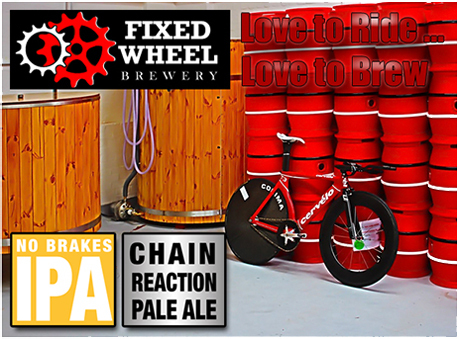 With the growing popularity of Burton Ales, the new partnership made the decision to acquire premises in Burton-on-Trent in order to take advantage of the Staffordshire town's acclaimed water for pale ales. In 1892 the firm took over the Bridge Brewery at Umplett Green Island. This building had previously been operated by Henry Boddington & Co. Ltd. Everard's were able to produce 10,000 barrels per annum at this site but this was still insufficient for the company's requirements as trade was constantly increasing. 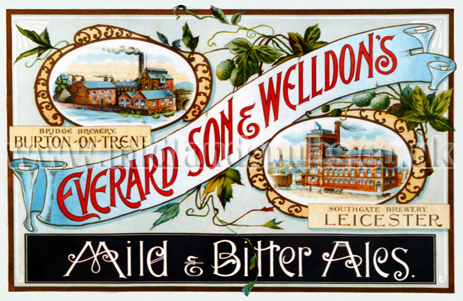 As a result, W. Everard & Co. [note the company name change] leased the Trent Brewery in Burton-on-Trent's Dale Street, a site that had been occupied by the Trent Brewery Co. Ltd. but had failed. 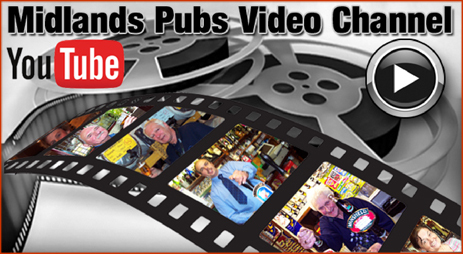 No such story with Everard's who made a success of the site well served by transport links. The company re-named the site to the Tiger Brewery. The Tiger Brewery at Burton-on-Trent became the company's production site and eventually brewing at the firm's historic Southgate Brewery was wound up. Production at Leicester ceased in 1931. By this time the firm was trading as W. Everard & Co. Ltd. as, in 1925, the business was registered as a limited liability company. The tied estate of public houses continued to be developed. 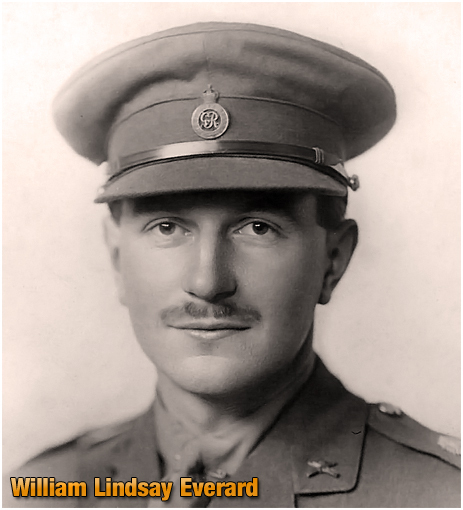 Thomas Everard died in 1925 and he was succeeded by his 34 year-old son William Lindsay Everard. During World War One he served as an officer in the Leicestershire and the 1st Life Guards. During 1917 he married Cornelia Armstrong and the couple later moved into Ratcliffe Hall. Like his father, he became a Justice of the Peace, was appointed Deputy Lieutenant of the County in 1924 and later High Sheriff. In this year he stood as the Conservative Party candidate for the Melton constituency in the General Election and was returned to Parliament, a post he held for 20 years. He was knighted by King George VI in 1939. 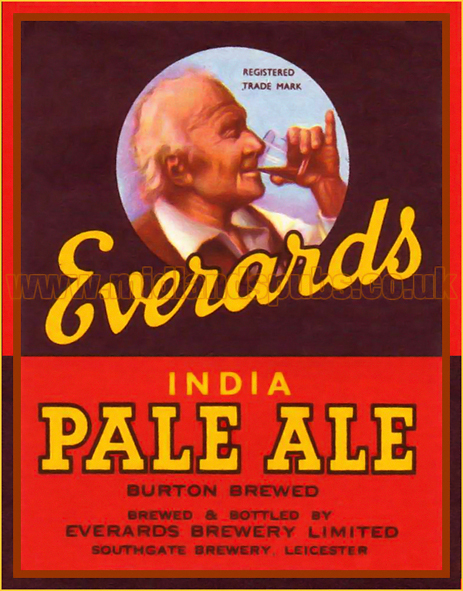 Following the death of Sir William Lindsay Everard in 1949, the running of Everard's Brewery Ltd. passed to 27 year-old son Patrick Everard. He had also served as an officer in the army but was wounded in action in 1944 while serving in Normandy. 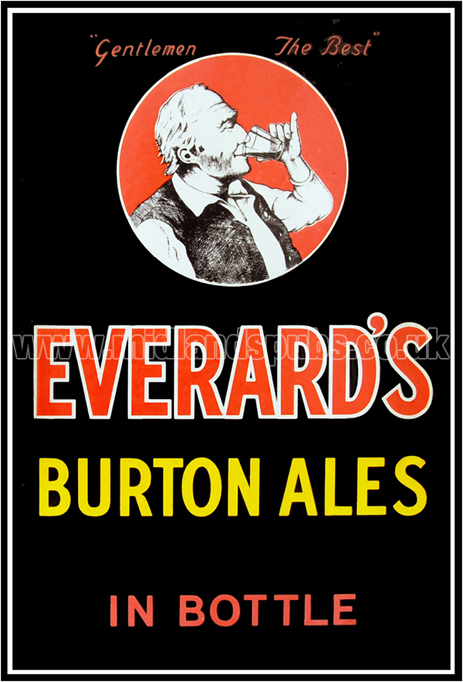 A keen sportsman he was very active in the development of Everard's Brewery Ltd. During the 1970s he was joined by his son Richard Everard and they invested heavily in the improvement of their public houses. 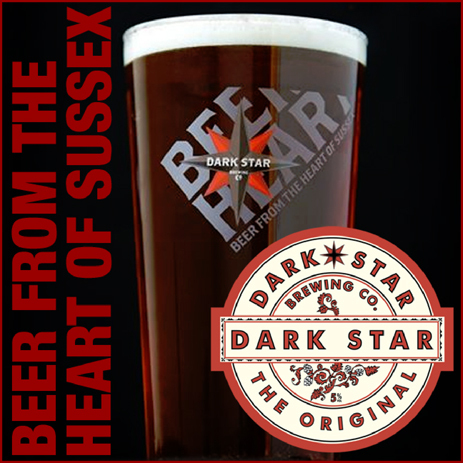 They also acquired a further 24 properties from Ruddles Brewery, bringing the estate up to 150 public houses. 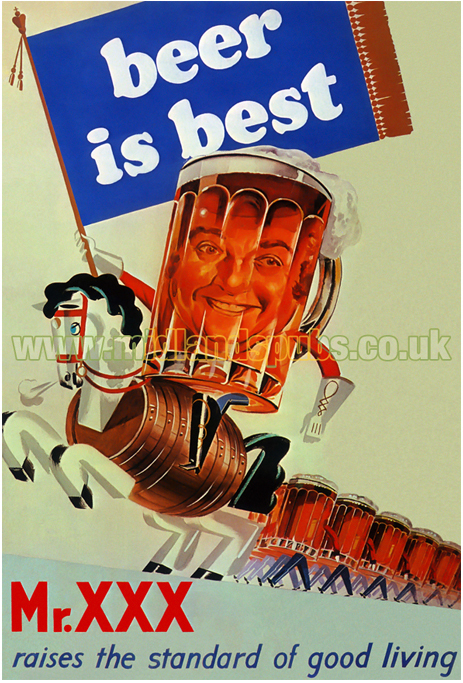 By the late 1970s, it became clear that the Tiger Brewery would not be able to cope with the demands of future production. In 1979 a farm at Castle Acres, Narborough was purchased, close to the original farmestead of the Everard family. A new brewery with offices was constructed. 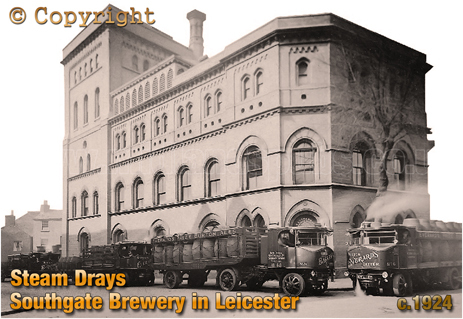 In 1995 the brewhouse at Castle Acres was opened and was to prove so successful in the production of high quality ales, that its capacity was doubled in 1990 to accommodate all ale requirements - the first time they had all been produced in Leicester for over 100 years. "Thirty-one employees of Everard's Brewery Ltd, who between them have served a total of nearly a thousand years with the company, were entertained to a dinner by the directors last night. They were presented with long service awards by Captain P. A. W. Everard. Chief among the recipients awards were Mr. W. H. Hubbard, managing director, who has been with the company for 51 years, and Mr. W. Turton. 48 years." Leicester Daily Mercury : November 18th 1950 Page 8.